We finished up our 2017-2018 school year last week (blog post on that coming soon)…and so, obviously, the thing for us to do this week was to jump into our summer school routine! 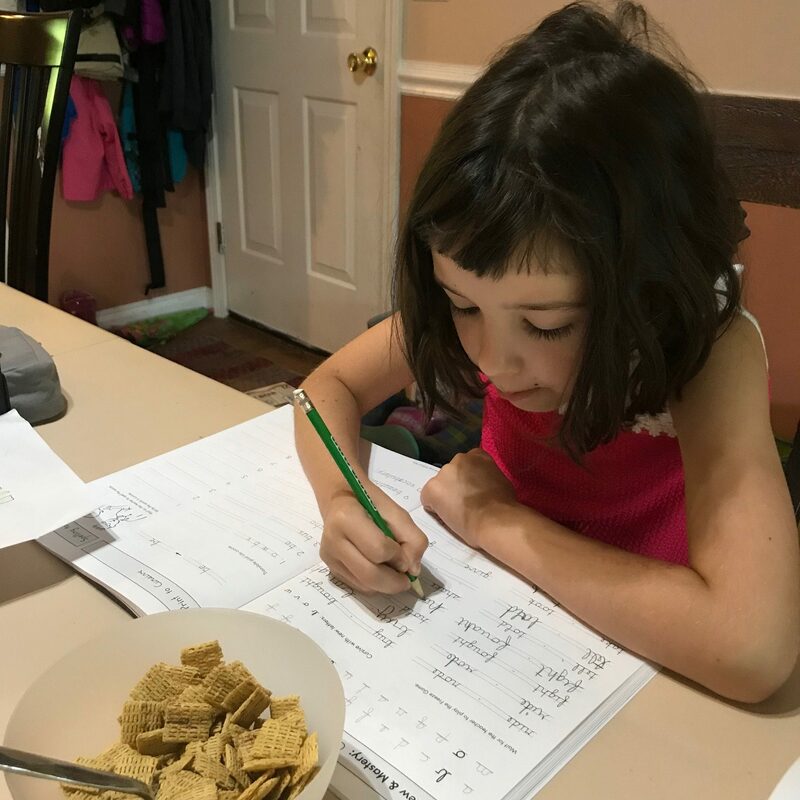 In general, we’ve done school year-round, sometimes in different ways and for different reasons, but we’ve found it works really well for our family. First, it allows for us to have a generally consistent structure to our days. Our kids don’t do well with extended periods of time of no structure. And, to be honest, I really don’t do well with extended periods of time of no structure. We lighten things up over the summer, but we can keep our general structure pretty similar to what we do during the school year. The day starts with math and handwriting over breakfast, and then everyone gets a bit of play time before we tackle anything else, and we do some more work before and/or after lunch. 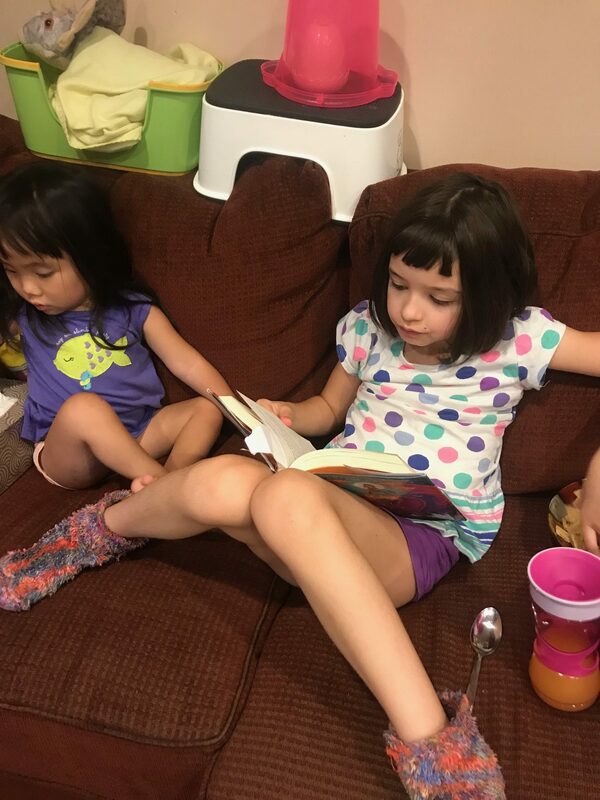 The little kids are continuing to be exposed to the idea that they have some choice in what we read, but I get to read the books to them, and we all sit on the couch and read together for a period of time in the afternoon. Second, it allows for us to continue to work on building skills that would otherwise stagnate or start to decline if ignored for months at a time. 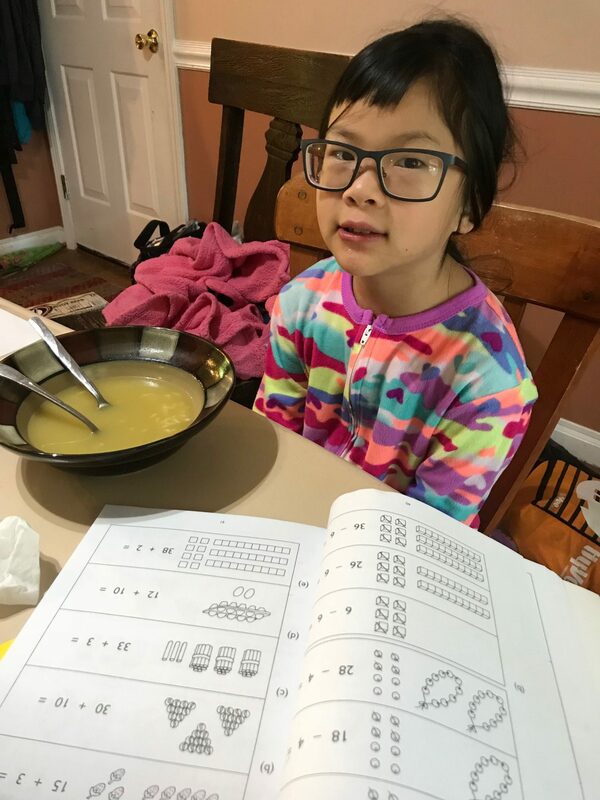 We’re continuing on with math, handwriting, reading, and Chinese, all areas in which I think it would be harder for my kids to jump back into their work in the fall if left alone all summer. Third, we can pick up some study in areas in which I want to prepare more for the fall. We’ve jumped around a bit in terms of our Language Arts curriculum over the last couple years, and we’re going to try Sonlight again in the fall, and I think I need to work with my girls a bit on writing before we start that program. With the little kids, I want to work more on letter recognition over the summer. Fourth, a lot of the rhythms of our lives just incorporate homeschooling. Matt and I usually read out loud to the big kids before bed, and a lot of the books we use are our Sonlight read-alouds. That’s part of the rhythm of our family life, not something we want to drop just because it’s summer time. Similarly, we’re attempting to cultivate a lifestyle, not a checklist. 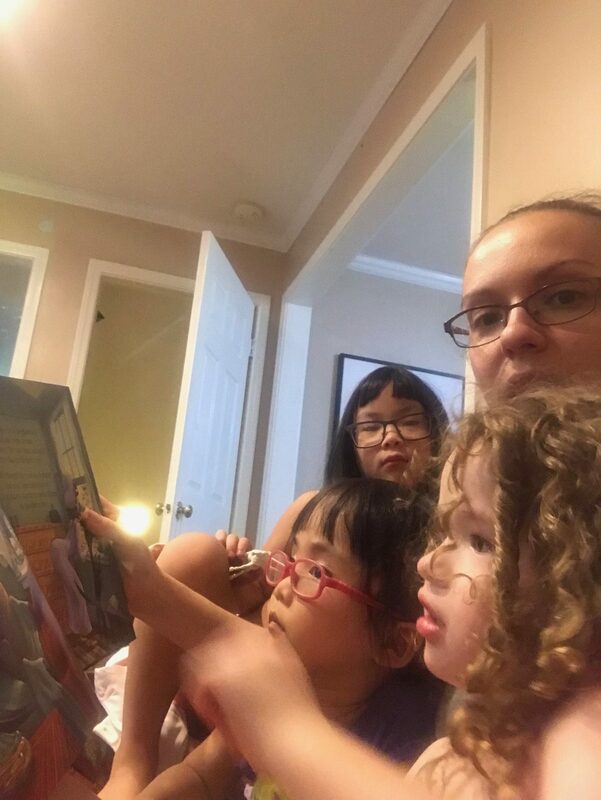 Yes, my kids are required to read every day…but we want them to read because they have a lifestyle of learning, not just because any given day is classified as a school day. Fifth, schooling through the summer gives us so much more flexibility during the year. If we’ve continued on with even a portion of our school work during the summer, I don’t feel at all bad about taking days off to go to the park or visit friends and family during the school year, and our many doctor and PT appointments don’t throw off our school schedule. We can create a schedule that works best for us and includes a good deal of flexibility, because we’ve already done a lot of school work, even before the official school year starts.